“We are living through the greatest wave of urbanization in history. Our cities – as epicenters for human and financial capital – are key to defining the century ahead. The decisions and partnerships we make today – to build advanced infrastructure, digital networks, research universities, livable neighbourhoods and cultural institutions – are critical to shaping this urban century.” These were the opening remarks from CEO of MaRS Discovery District, Dr Ilse Treurnicht at The Innovation City; a 2 day gathering of business and government in Toronto on July 18th and 19th 2012. The Innovation City is an event designed and created by CityAge Media organized in partnership with the MaRS Discovery District. The purpose is to create a platform for dialogue, designed to amplify new ideas in business, government and society, and to develop the partnerships between businesses, decision makers and thought leaders who are building our 21st-Century’s urban future. 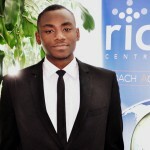 The RIC Centre attended Innovation City and would love to share the wealth of knowledge we received from over 60 speakers. One of the keynote speakers at the event was Dr. Guruduth Banavar – Chief Technology Officer, Global Public Sector, IBM. Guru Banavar possesses technical expertise in Smart Systems, Service Science, Mobile Computing, Distributed and Collaborative Systems, and Programming Models. Guru travels the world helping cities use information to their advantage. 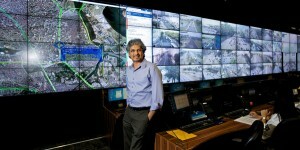 One of his most recent successes was administering the latest operations centre of the city of Rio designed by IBM. A state-of-the-art facility gathering and integrating city-wide data from over 30 city agencies, allowing its operators to effectively oversee all municipal issues, quickly respond to emergencies and predict the likelihood of major disasters.On Wednesday, he was in Toronto and he indicated in an interview with the Globe and Mail that he also met with Councillor Doug Ford to speak about transit, fiscal management, traffic, and garbage collection, among other issues in Toronto. In subsequent blogs, we will be bringing you a few other exclusives and take-aways from The Innovation City event. Connect with Guruduth Banavar on LinkedIn.